To improve identity verification, some organizations are starting to look for ways to leverage AI, machine learning, natural language processing (NLP), image processing, and even biometric tools. 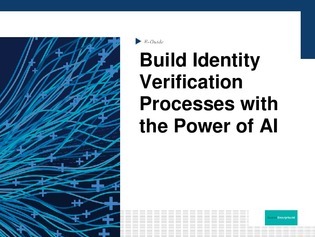 This expert e-guide explores recent developments in AI-powered identity verification technology. Get tips on how to outsmart potential fraudsters by finding out how you can improve your identity verification practices by building machine learning and other AI-based technologies into your security strategy.